Big Sky, Montana is a place of unfettered beauty surrounded by expansive landscapes where your front door is a jumping off point into adventure. 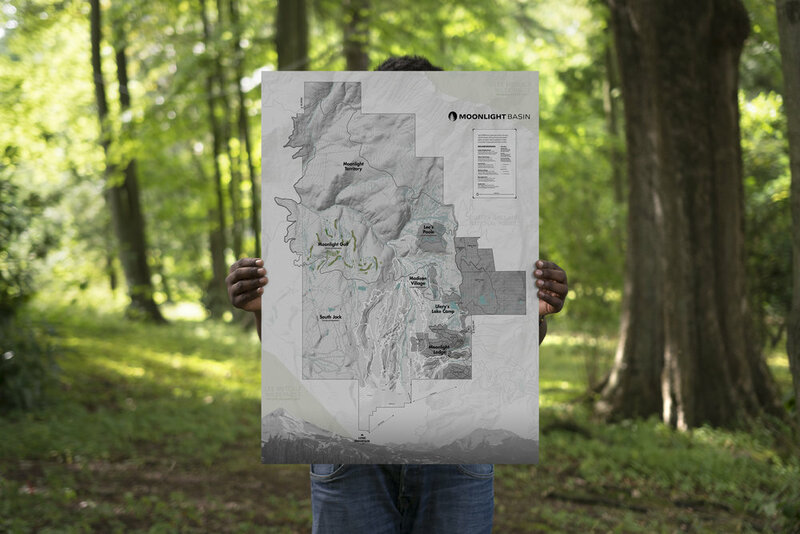 Capturing all of this energy into a piece of marketing collateral was the primary challenge in the creation of a series of maps for the Lone Mountain Land Company. 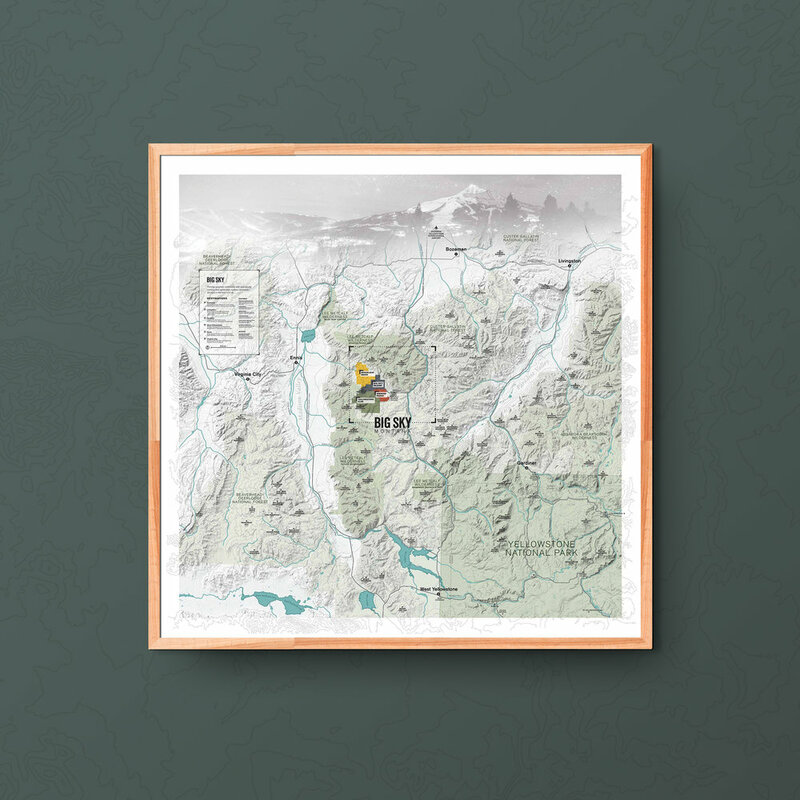 These maps balance a sense of grandeur through a mixture of photography and iconography with a practical sense of place so that visitors can use them to gather their bearings. These large scale maps were created with flexibility in mind, with additional map formats being created for different scales and users.